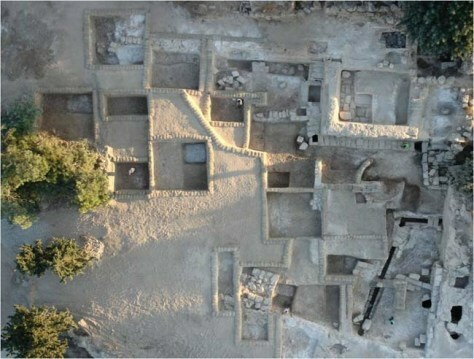 An aerial view of the Ramat Rahel, an archaeological site high above the modern city of Jerusalem, about midway between the Old City of Jerusalem and Bethlehem. This site was inhabited since the last century of the Kingdom of Judah (seventh century B.C. ).